The bronze statue is by the sculptor Ron Adamson. In January 2016 Glenn Frey, the co-founder of the Eagles, passed away. 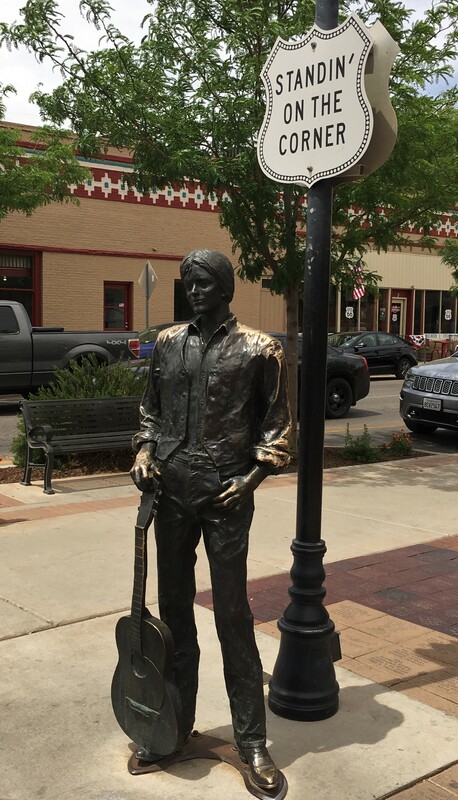 In honor of the singer, a second bronze statue was added to the park that September. 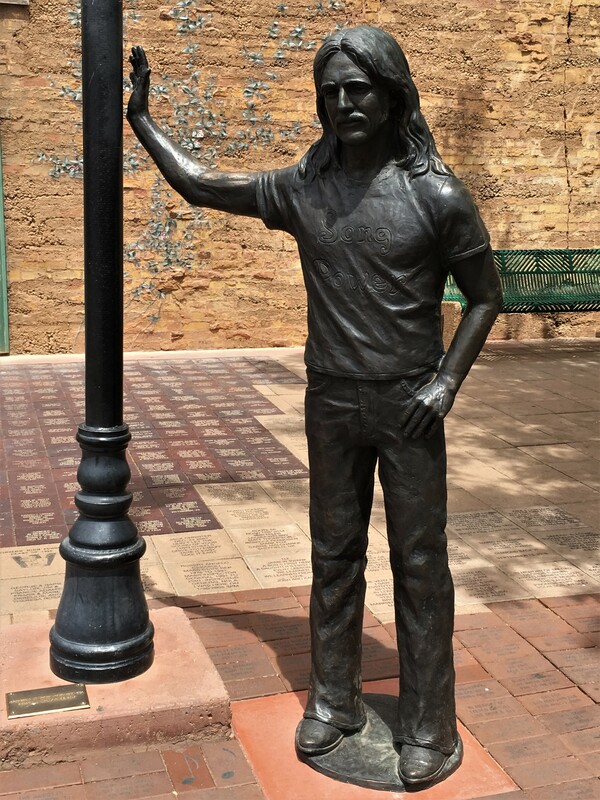 The statue was made to look more like the 1970’s version of Frey. 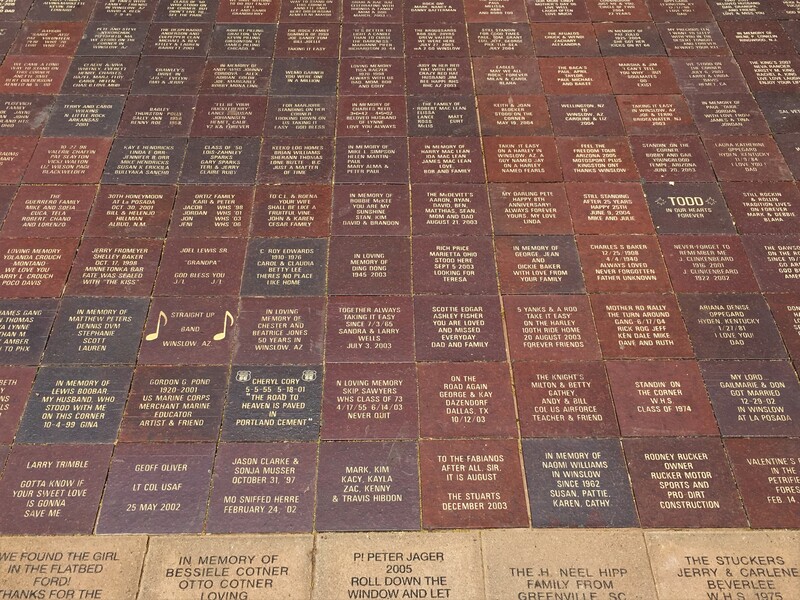 The photos below show the plaques at the park as well as the bricks that line the sidewalk noting the names and stories of donors. 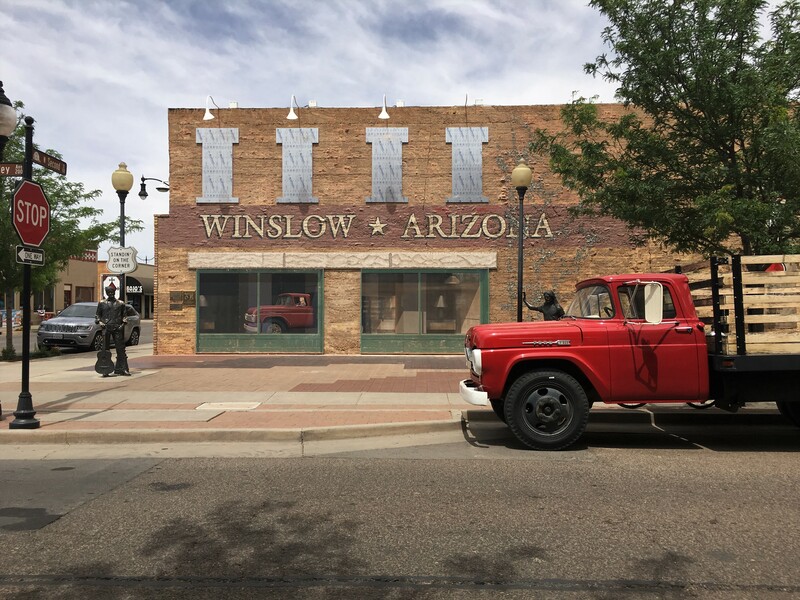 In pre-Interstate 40 days, Winslow was a bustling town. With the opening of the new road, the residents watched as the town slowly declined, being forgotten in the wake of a faster route. 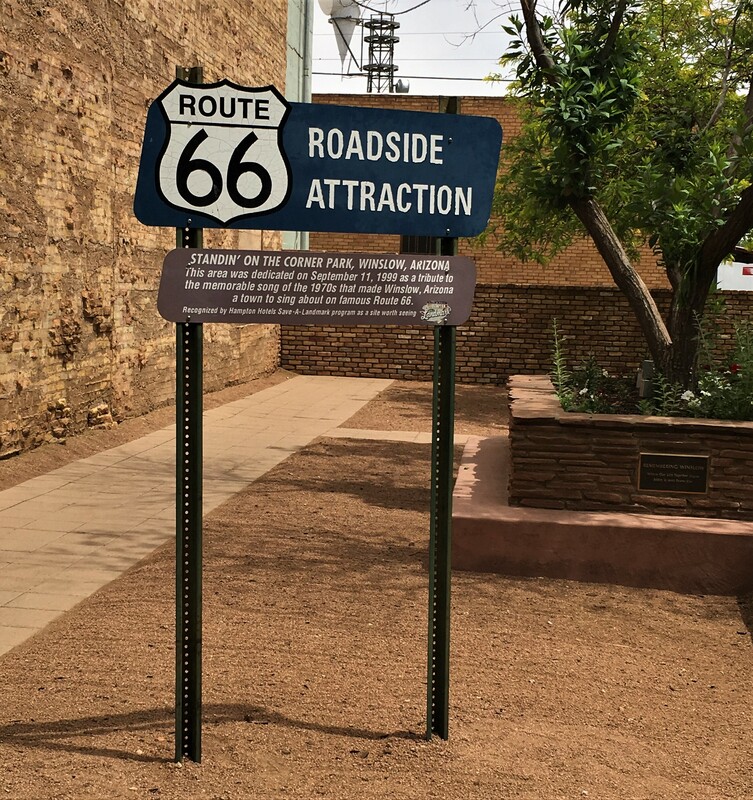 In 1997 La Posada (hotel) was saved and restored and eventually found its way onto the National Register of Historic Sites. 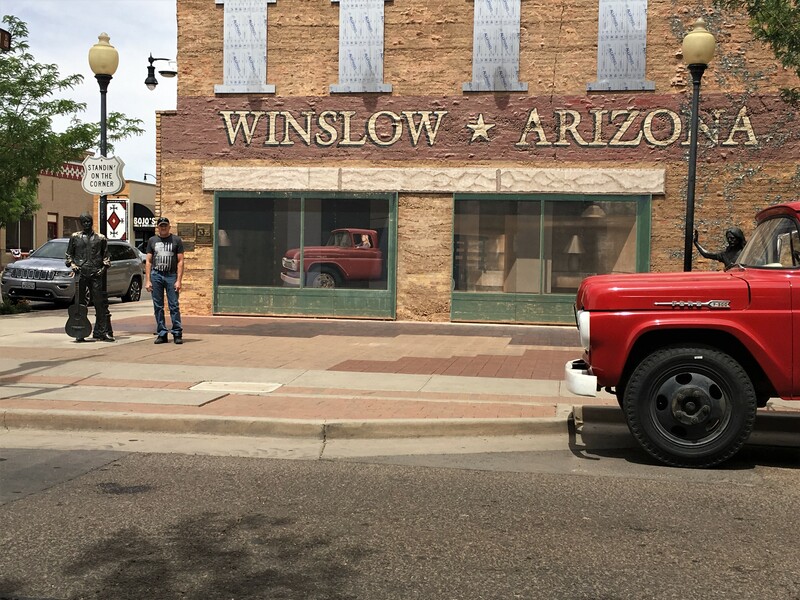 With that, the Standin On A Corner Foundation was formed to bring about a revival of tourism to Winslow. 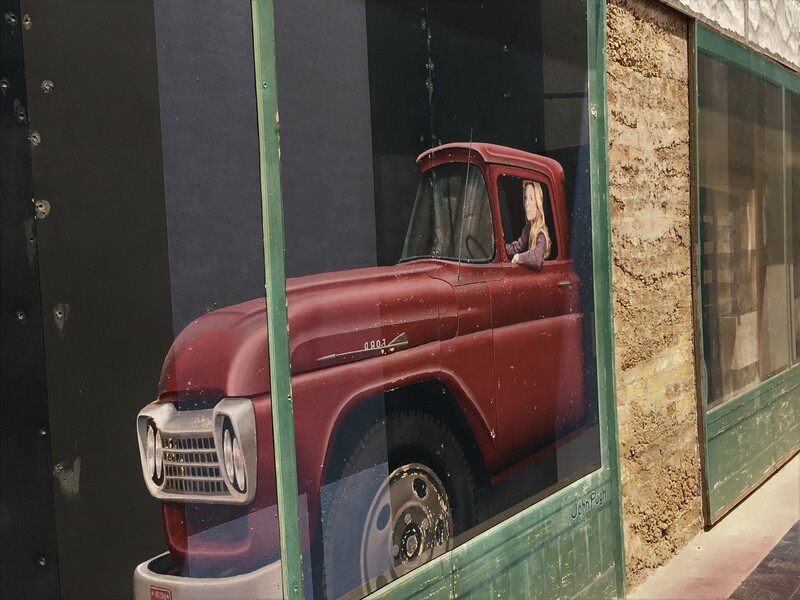 In 2006, the animated film by Pixar, titled “Cars”, helped bring additional attention to the area. (Totally unrelated side note: I believe Cars was the last film for both George Carlin and Paul Newman). 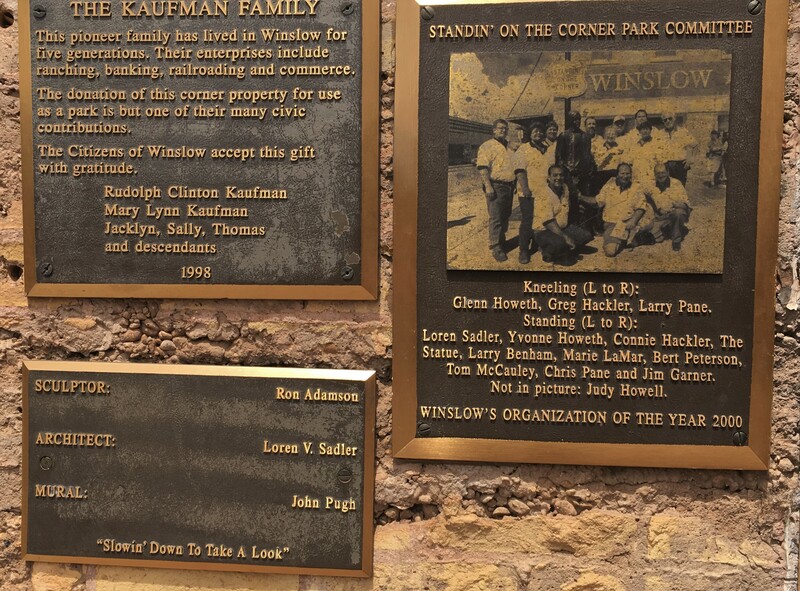 Winslow (in particular) is not shown onscreen. However, La Posada and the souvenir shop at the corner are both mentioned in the credits. I love it! It’s a must see for any classic rock fan.